Searching for a fun coastal adventure to keep the kids happy over the summer holidays? 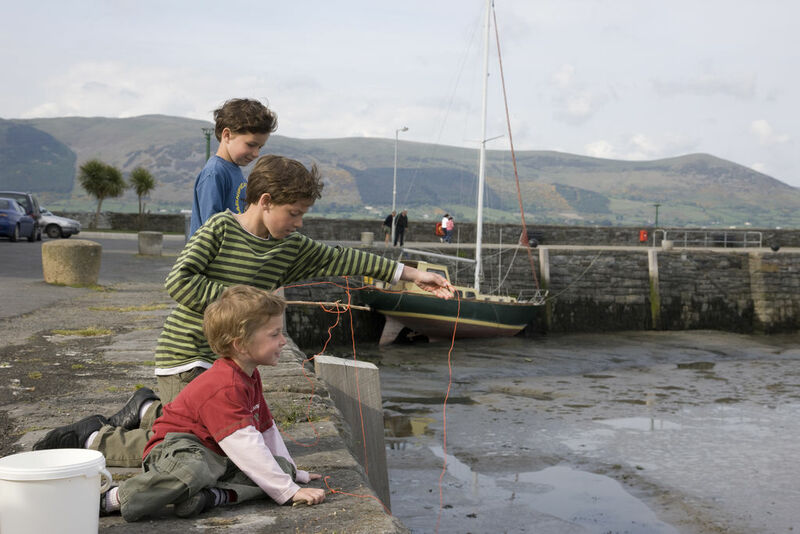 Crabbing is an easy way to have fun with the family and introduce children to the wonders of marine ecology. Here’s how to find and study crabs in rockpools in six easy steps. Find a handy rockpool. It needs to be full of sea creatures and safe for you to visit. Next on the list is the equipment. You will need: some string or handline, a bucket, a small fishing net, an old washing tablet bag and the bait – crabs are very particular to fish and bacon. Before you begin crabbing, fill the bucket with seawater, seaweed and some pebbles – this helps mimic a crab’s natural environment and relieves stress. Then put the bait in the old washing tablet bag and tie it to the string. Then simply drop the bait into the water and let it hit the seabed. It’s a good idea to wrap a little bit of the line loosely around your finger so that you can feel the crabs pulling on it. When you feel the crabs nibble, lift the line out of the water and put the net underneath so that it doesn’t fall back in. Then carefully place the crab in the bucket. Try not to have a gang of more than 10 in each bucket. Then see if you can identify all of the different crab species you’ve found. Be careful when handling the crabs – if they pinch it is very hard to make them let go. If you do want to pick them up, make sure you hold the crab with your finger and thumb on either side of the shell, behind the pincers, so that they cannot reach you with them and so you don’t hurt the crab either. Once you’ve finished with your crabs, carefully release them back into the sea near the water’s edge.